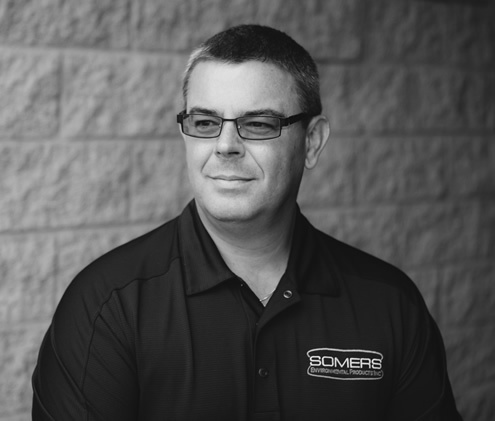 Our Team – Somers Enviromental Products Inc.
Scott accepted a position as Technical Sales Representative with the company upon graduating from St. Clair College with a diploma in Mechanical Engineering Technology & Energy Management in 1995. Scott has been with the company from its infancy providing support to the customers, consulting engineers, and end users. Scott’s current role has him overseeing operations of the company, and ensuring the values set forth by the company’s founder Daryl Somers, are applied each and every day. Outside of work Scott enjoys time with his family and friends. Wife of the late Daryl Somers, Susie has been part of the business since 1997. Raised in St. Catharines, Susie attended and graduated from Niagara College. 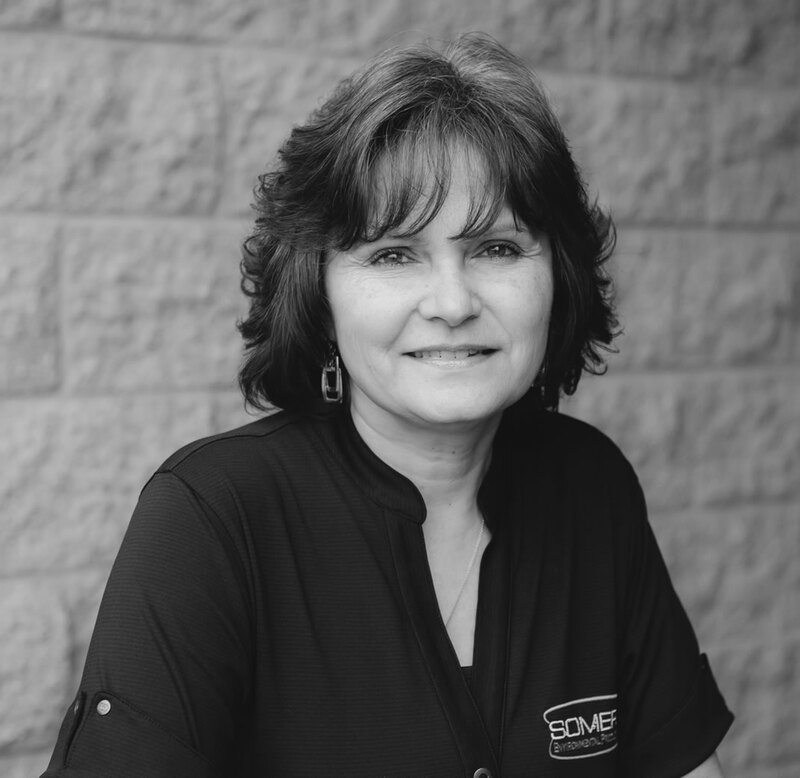 Susie’s role of Office Manager has her overseeing all Accounts Payable and Accounts Receivable. When not in the office, Susie enjoys time at home with family and friends, and her companion Buddy, the family Labradoodle. 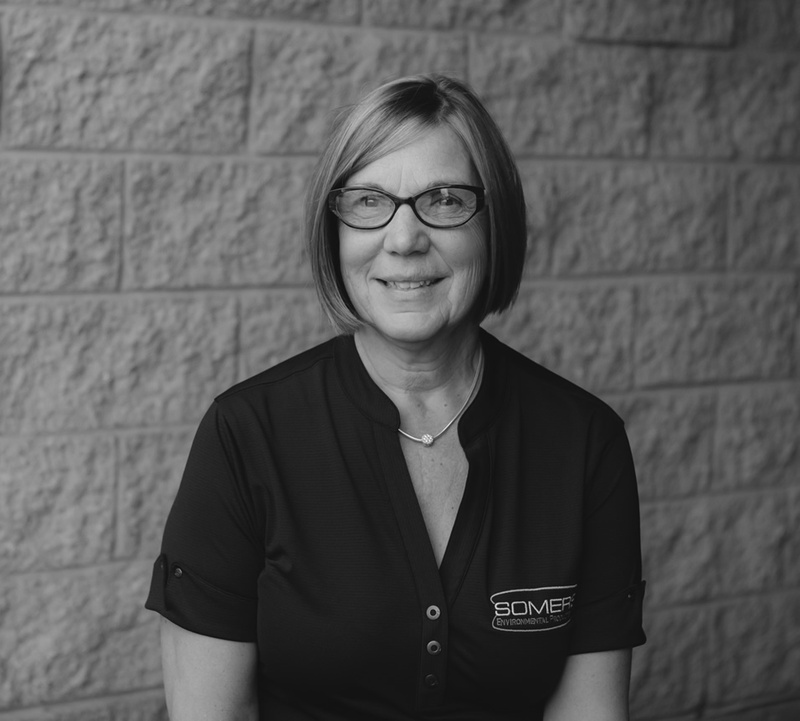 Susie is proud to be part of a company that prides itself on loyalty and customer service. 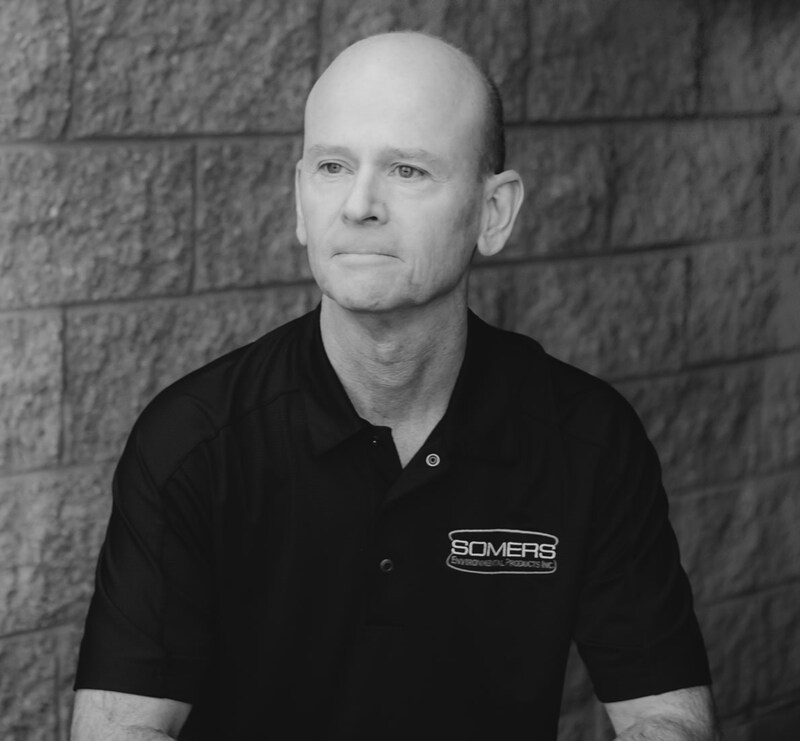 Chris has been with Somers since 2017 and comes to us with 25 years of HVAC experience; from shipping and receiving, to installing and servicing equipment to numerous sales roles. Over the years he has represented many different manufacturers’ products and has gained a wide range of knowledge. Chris can assist you with pricing bid and spec projects, and can also offer technical assistance. In his spare time you can usually find him outdoors, spending time with his family and their Sheltie “Reese”, barbequing anything and everything that you can think of and working with his hands. 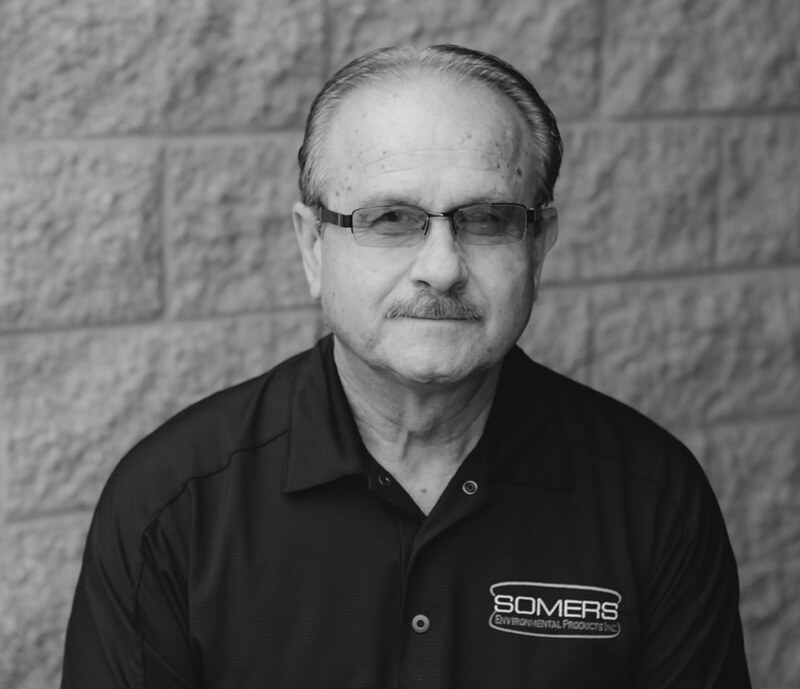 Pat holds the position of Sales Representative with Somers Environmental Products and brings more than 32 years of industry experience to the table. Over the course of Pat’s career, he has been responsible for business development in HVAC&R markets. Pat’s primary focus at Somers is the sale and support of Lochinvar and Weil-McLain boilers and accessories through Engineering and Contractor Sales in both the New Construction and Retrofit markets. 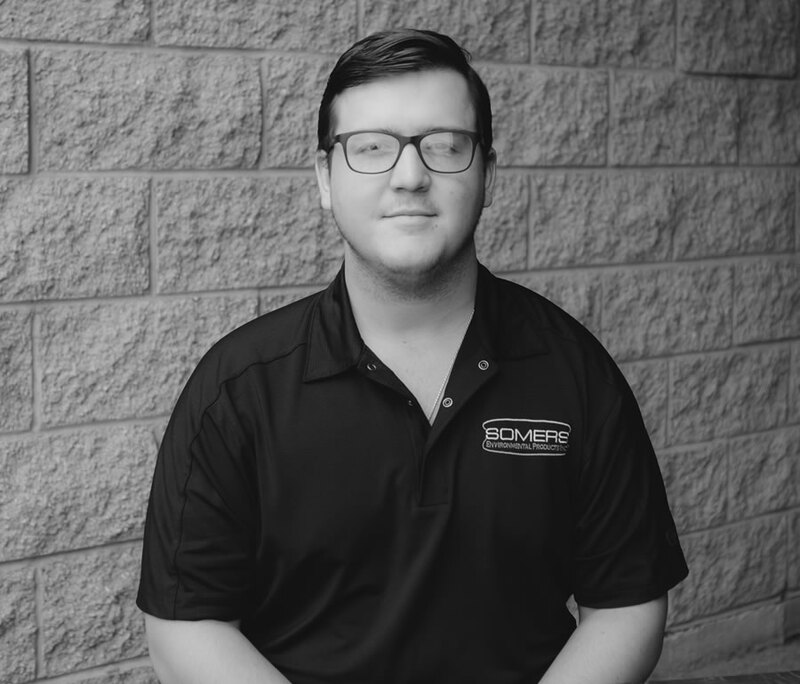 Alex came to Somers Environmental Products in 2017 after graduating from the HVAC Program at George Brown College, Toronto Ontario. 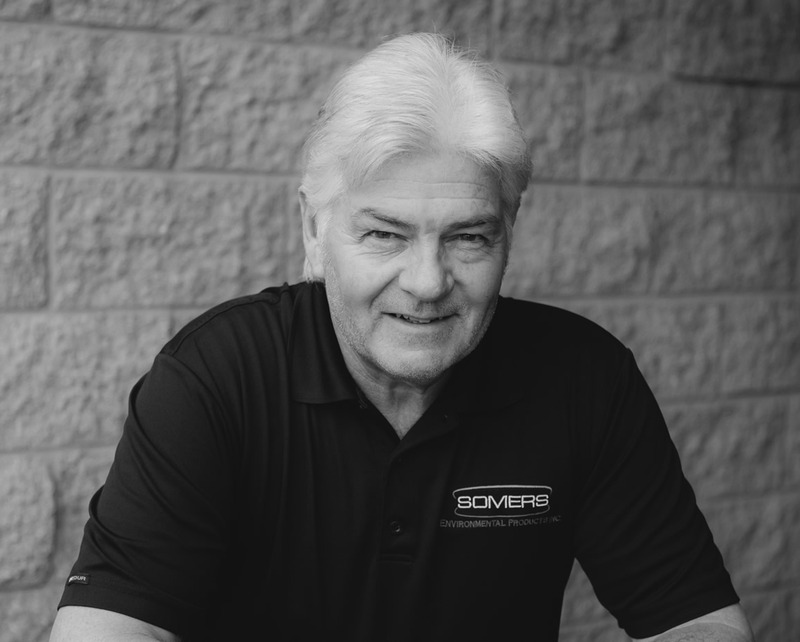 Alex is primarily responsible for the Venting Division at Somers Environmental Products. Alex provides support for Venting Designs, Layouts and Quotations and works with the Project Management Team to ensure customer satisfaction. When not at work, Alex can be found spending time with family and friends enjoying activities such as fishing, golfing, baseball and hockey. 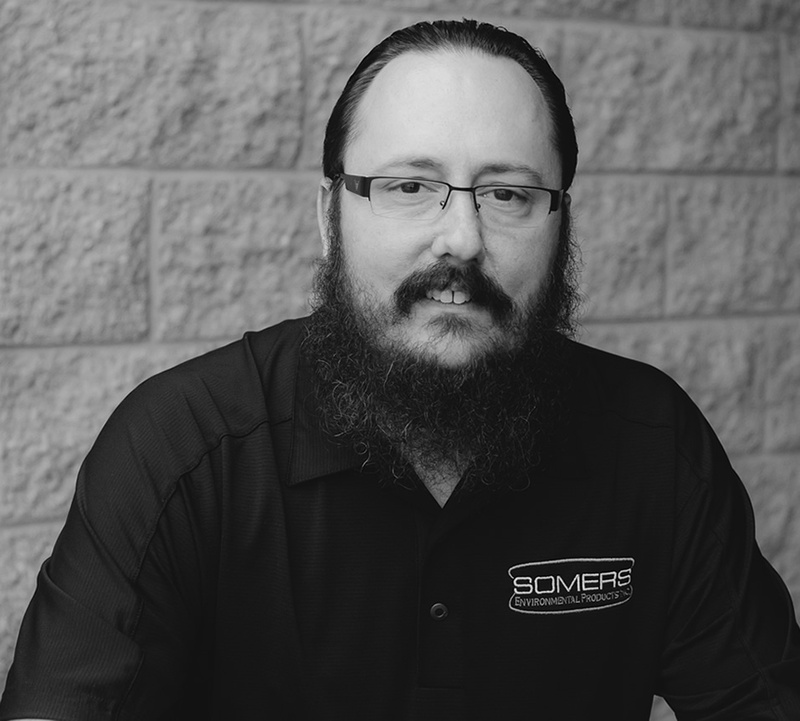 Andy joined the Somers Team in March of 2017. He brings with him a wealth of knowledge having graduated from St Clair College in Architectural Technology. After Graduating he accepted a Position with an Architect/Engineering Firm and graduated onto the Mechanical Engineering side of the Business eventually working as Mechanical Designer. He expanded his Horizons and went into Wholesale HVAC Business as a HVAC Technical Sales Manager, then into the Mechanical Contracting Business as an Estimator Project Manager and then the General Contracting Business as a Mechanical/Electrical and Specialty Equipment Project Manager. With all of this experience Andy brings with him the expertise to help Clients with all of their HVAC and Ventilation needs which includes Designing and Layout of Infra-Red Heating , Garage Fume Ventilation, Kitchen Exhaust Ventilation Systems and any other services to help with the products Somers has to offer. Andy works in the Windsor Branch Office covering areas of Essex and Kent Counties. Andy is a past Member of the OACETT and an Active Member for many years in Ashrae. He is also very involved in Charitable Work. Lynn has been a HVAC estimator at Somers Environmental since 2009. 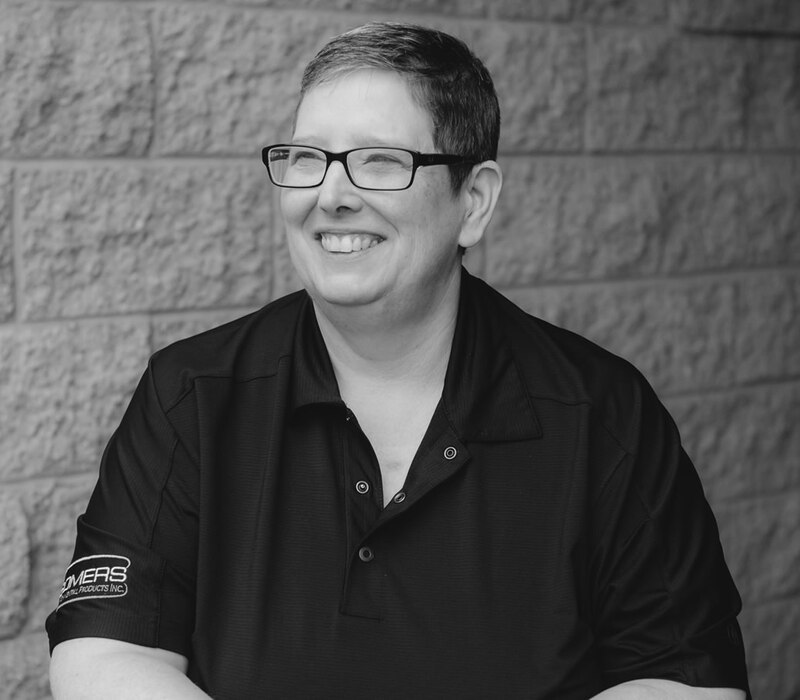 Lynn is a vital part of the Estimating Team and has mastered the art of clean take offs and product pricing for all products. Lynn enjoys and excels at Customer Service and is always willing to help customers with pricing and offering solutions to customer requests. Outside of work Lynn enjoys camping and exploring the great outdoors with her husband and two young children. Adrian graduated from Western University with Bachelors in Engineering Science and a Professional Certificate in Project Management. In his spare time, Adrian participates in a Book Club, various sports teams with FCSSC, and spends time with his many nieces and nephews. 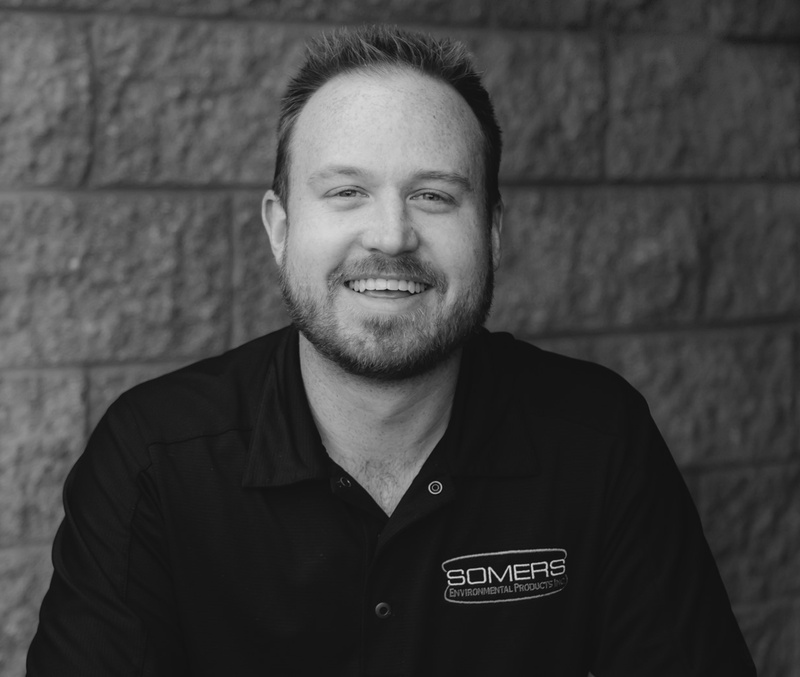 Trevor Wood joined the Somers Environmental Products team in 2015. As a graduate of the Business Administration program at Brock University, he brings a unique set of skills and perspective to the company. Trevor looks after the Roberts Gordon Infrared Heater Sales, both systems and replacement parts. 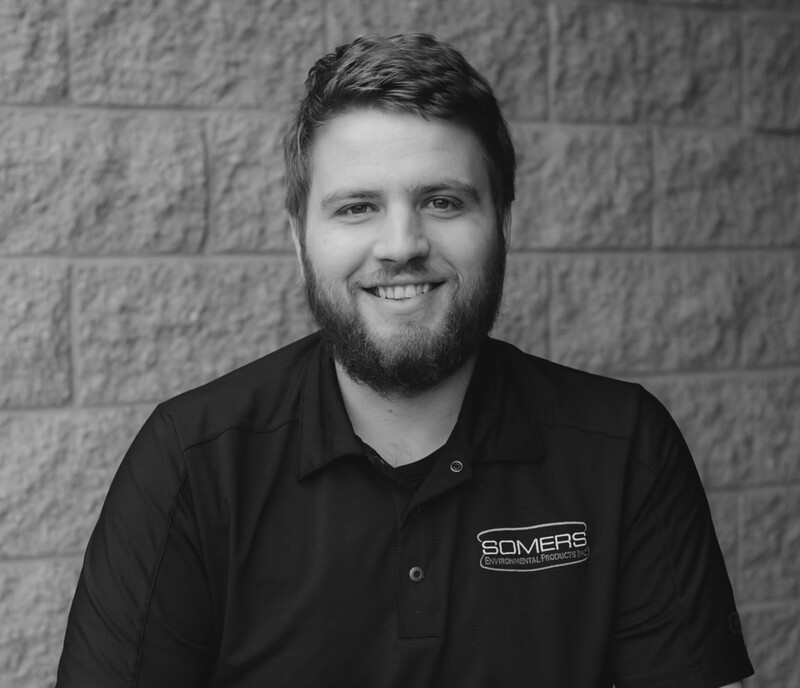 Trevor is also well versed in other products handled by Somers Environmental Products, allowing him to assist in all Sales related inquires and requests. Trevor’s Business Administration background also has him responsible for Purchasing, Inventory Management, and assisting with Accounts Payable/Receivable. In his free time, you can find Trevor at the rink throughout the year playing recreational league hockey. Give him a call at x207 if you need a quote or have any questions, he will be more than happy to help you. 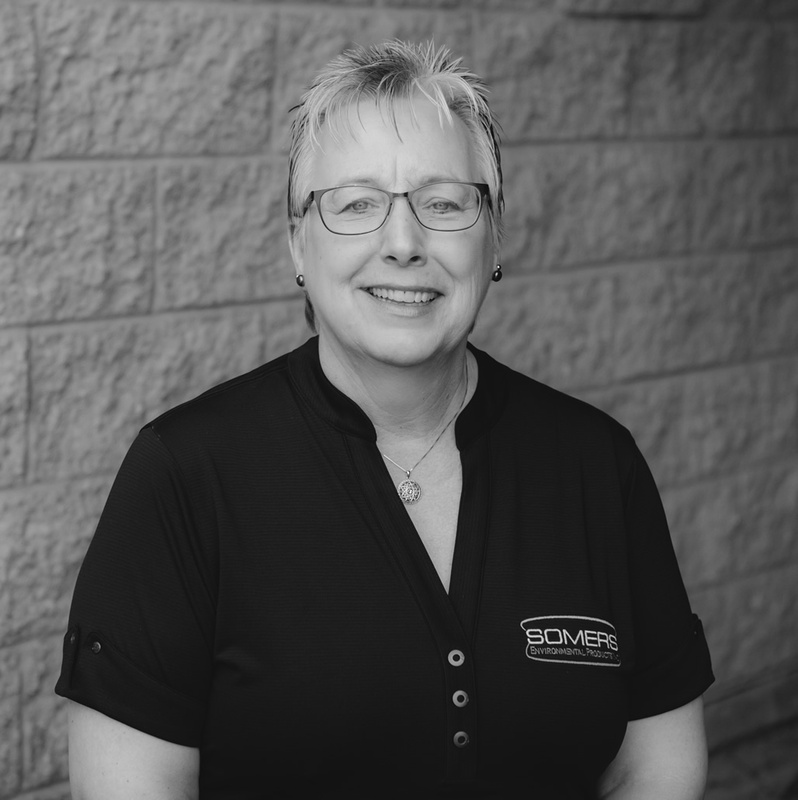 Sandy joined Somers Environmental Products in 2016 as a Sales Support and Assistant to process project submittals, orders and assist with Inside Sales. Sandy has over 25 years’ experience within the HVAC industry in London and the surrounding area. 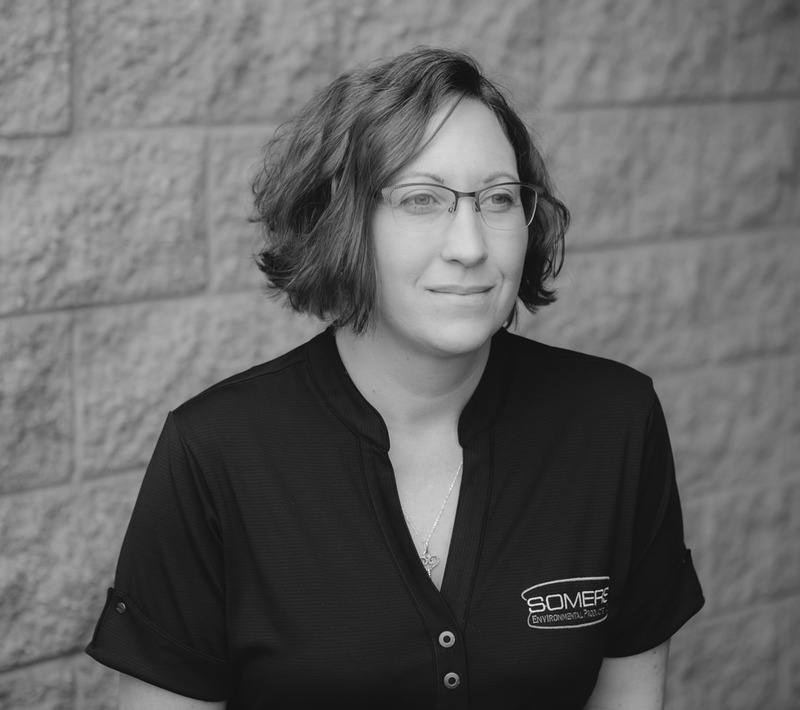 Through her dedication and willingness to learn she has developed into a well versed Project Manager at Somers. After work you will find Sandy supporting her husband Joe , a dedicated volunteer to the teaching of Aikido. Sandy is also a loving pet owner to her dog a king shepherd named Tucker. Sandy has also taken a shine and become a self-appointed pet mom to Buddy. Alice rejoined the Somers’ Team in August 2018 providing administrative support to Scott and project management. Outside of work Alice enjoys spending time with her partner, their African Grey Timneh parrot named Denniz and their Budgie named Garbonzo. Melissa has been part of the team at Somers Environmental Products since 2003. Melissa’s role has her directing calls, managing warranty claims, and coordinating and expediting shipments to ensure orders arrive accurately and in a timely manner. Outside of work Melissa enjoys spending time with her husband, children and grandchildren. She is always excited to see the spring so she can get into her gardens. Tom came on board in 2015. He comes with years of experience in the customer service department. Tom looks after shipping, receiving and inventory control. Customers and courier drivers all comment that Tom keeps one of the tidiest warehouses in London, Ontario. On his days off you can find Tom on his farm tending to the animals and enjoying the fresh air.